Busiest time of year for dividend increases. Enormous variety of industries available. In compiling the Dividend Champions list (found here), I get to see which companies are nearing the anniversaries of their previous dividend increases. Since most of these firms raise their payout about the same time every year, I can say with some confidence that they are likely to do so again. I have separated the Champions (25 or more years of higher dividends), Contenders (10-24 years), and Challengers (5-9 years) into distinct groupings, so please look for the other articles, which I hope will be published about the same time. Note that "CCC" refers to the combination of Champions, Contenders, and Challengers. As mentioned last month, the relatively light activity from mid-December to mid-January is now giving way to a pick-up in dividend-increase announcements with Ex-Dividend Dates beginning around Groundhog Day and carrying through March and April, when many companies first announce their annual earnings and then schedule the annual shareholder meeting. The number of announcements for all Champions, Contenders, Challengers, and Near-Challengers expected in the next 11 weeks has risen to 186 from 108 a month ago. Argo Group Int'l Holdings Ltd.
Not all of the above companies will meet the strict standards of every investor, but some may be appropriate for portfolio diversification. Potential investors should do more research before committing funds. As a bonus, I'm inserting one of Chuck Carnevale's F.A.S.T. Graphs below, highlighting one of the companies listed above. 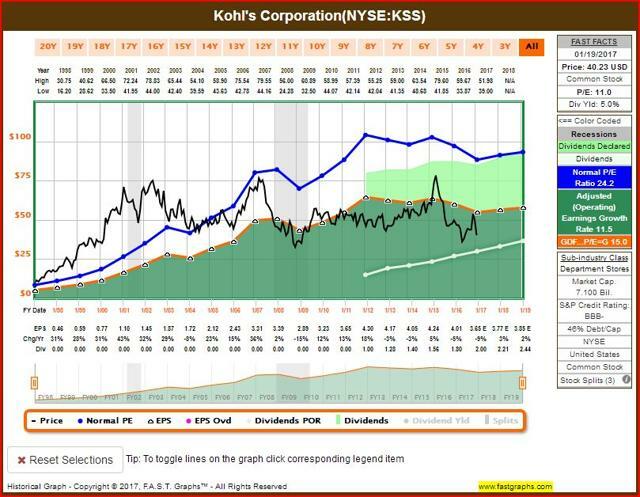 When the stock's price line has moved into the green area, it indicates that the stock is undervalued in relation to its earnings. I'm attaching the chart below. Disclosure: I am/we are long GLW. I wrote this article myself, and it expresses my own opinions. I am not receiving compensation for it (other than from Seeking Alpha). I have no business relationship with any company whose stock is mentioned in this article.